A study conducted last year showed that 58 percent of people in the US perceive new technology to be a threat. 23 percent go as far as to worry about losing their jobs to new technology. In fact, US workers are twice as likely to worry about job loss from technology, than from immigration. But recent studies put these fears to rest. The World Economic Forum has predicted that Artificial Intelligence will create 60 million jobs more than it eliminates within the next three years. The Bureau of Labor Statistics states that in the automotive industry alone, AI is likely to create 6 percent more jobs, especially for auto service technicians and mechanics. Another study by PwC discovered that there will be a boom in legal jobs once the use of AI becomes ubiquitous. Although assembly line jobs will be replaced by AI, the employees who originally executed them will be redistributed to other, more challenging roles to bring more value-addition to their firms. Scientists have got comforting news for those knowledge workers anxious about AI replacing their jobs – while data-driven dynamic machine algorithms have a competitive advantage over human pattern recognition capabilities, they still do need human supervision. Without supervision, AI algorithms are only 80 percent accurate; it is human input that increases the algorithm’s assessment confidence and moves the AI’s potential closer to actual intelligence. Once the algorithm completes its initial assessment, humans can finetune it and feed their inputs into the algorithm, helping it evolve. The HITL model is not devoid of drawbacks though, since the algorithms don’t recognize human error. This makes room for a new and improved model – the Expert In The Loop (EITL). The Expert In The Loop model comes with the facility to measure an individual’s aptitude and even document his/her errors for future reference. While HITL uses inputs from many individuals without considering their relevance in the decision-making process, EITL recruits experts specializing in particular domains for assistance with associated supervisory tasks. HITL uses the ‘Law of Averages’ i.e. if many people’s inputs are used, the average result is correct. It is the way to go if one is looking for quantity over quality. EITL, on the other hand, makes for easier audits, intelligent algorithms, and more confident AI assessments. This next-gen AI model is already making waves in financial services, compliance, regulation, security. Tax law, in particular, heavily uses EITL and has gone on to create new opportunities and jobs. An IDC study has proven that not using AI for legal research and writing results in a 10 percent loss of productivity annually and $9000 spent in excess per attorney. To incorporate the EITL model successfully, one needs to work with compliance professionals and attorneys. These experts help identify gaps, remove errors, and refine classifications. They guide algorithms and give them directions to better analyze big data and achieve highly accurate results. Without experts on board, one’s firm may be susceptible to risks. Although the permeation of AI through the legal industry is displacing a large number of professionals, it is also leading to new and exciting roles for them – ones that push them to focus on their core competencies and real attorney work. AI is merely beginning to function as a reliable shoulder to lean on for repetitive, high-volume work that eats into attorney time. Executing AI in the legal industry has been tricky and this has led to an Expert In The Loop model where expert supervisors educate and train AI, leading to a low-risk, highly productive, and thriving law practice. This leaves the attorneys to perform tasks that are uniquely human and essentially, what they are good at. At LegalEase, we are constantly aware of automation advances and strive to utilize third-party tools to develop technology-abled solutions for our clients. We use proprietary CORE research and activity automation engines to reduce human involvement and error, thereby streamlining processes and ensuring our clients the fastest, most accurate results. 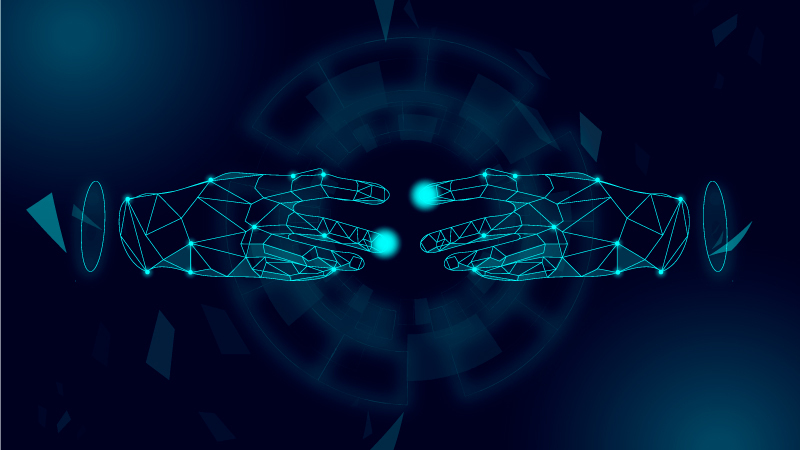 We work with leading AI technology that enables our clients complete control over their projects, reduces susceptibility to risks, optimizes spend, and improves decision making. If you’d like to optimize your legal functions, feel free to reach out to us at contact@legaleasesolutions.com. Our team of expert attorneys is happy to help.